Florence practically parked itself over land all day long and poured on the rain. 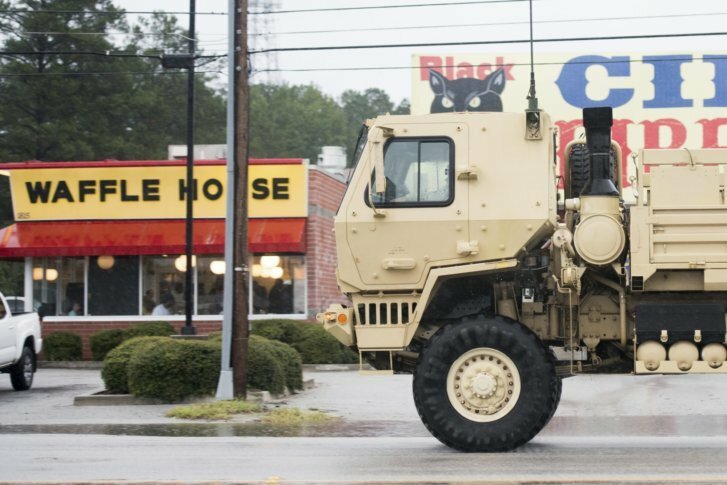 With rivers rising toward record levels, thousands of people were ordered to evacuate for fear the next few days could bring the most destructive round of flooding in North Carolina history. Here's the latest. 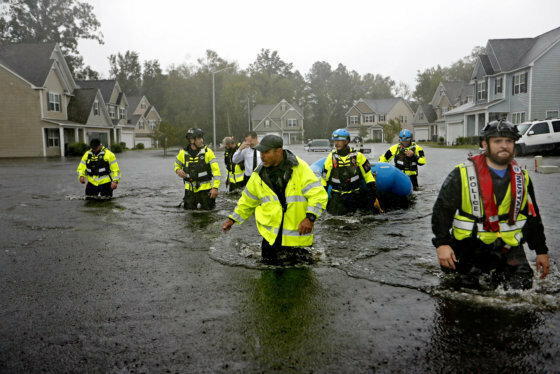 NEW BERN, N.C. (AP) — The Marines, the Coast Guard, civilian crews and volunteers used helicopters, boats and heavy-duty vehicles Saturday to rescue hundreds of people trapped by Florence’s onslaught, even as North Carolina braced for what could be a fearsome new stage of the disaster: widespread, catastrophic inland flooding. Authorities ordered the immediate evacuation of up to 7,500 people living within a mile (1.6 kilometers) of a stretch of the Cape Fear River and the Little River, about 100 miles (160 kilometers) from the coast. The evacuation zone included part of the city of Fayetteville, population 200,000. Record flooding is expected Tuesday on the Cape Fear at a crest of 62 feet (nearly 19 meters) there. In the Fayetteville area, John Rose owns a furniture business with stores less than a mile (1.6 kilometers) away from the Cape Fear River. He moved quickly as workers helped him empty more than 1,000 mattresses from a warehouse in a low-lying strip mall. “If the river rises to the level they say it’s going to, then this warehouse is going to be under water,” he said. And on Saturday evening, Duke Energy said heavy rains caused a slope to collapse at a coal ash landfill at a closed power station outside Wilmington, North Carolina. Duke spokeswoman Paige Sheehan said about 2,000 cubic yards (1,530 cubic meters) of ash were displaced at the Sutton Plant and that contaminated storm water likely flowed into the plant’s cooling pond. One potential road out was blocked as flooding forced the shutdown of a 16-mile (26-kilometer) stretch of Interstate 95, the main route along the Eastern Seaboard.